Place: Assembly Hall of the Ateneo de Málaga. Date and time: Thursday, December 13, 2018, at 1:00 p.m. 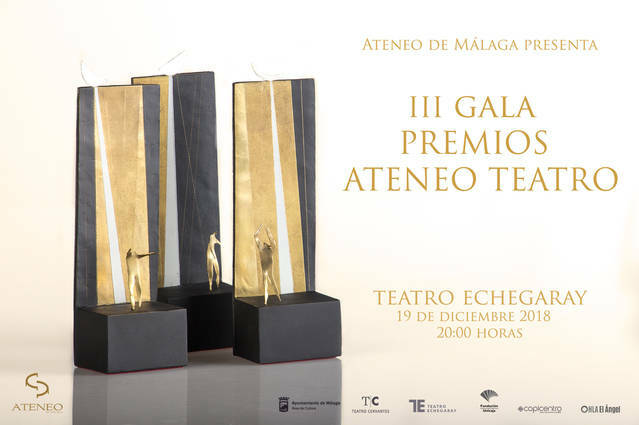 The Athenaeum of Malaga, in the III Edition of its Athenaeum Theater Awards, has invited all the professional companies that had premiered work in Malaga from October 1 last year until September 30 of this year to participate. Thirty shows of Theater, Dance, Musical Theater and Children's Theater have participated in total. The sculptor and scenographer Leslie Sánchez has been again in charge of the creation of the exclusive awards that the winners will take home. The jury, as in the previous editions, has been formed by professionals of the performing arts; on this occasion we have the collaboration of José Antonio Sedeño, Esther Monleón, Antonio Navajas, Cristina García Pinto, Pablo Bujalance, Mariché López, Irene Viñals and Óscar Romero. 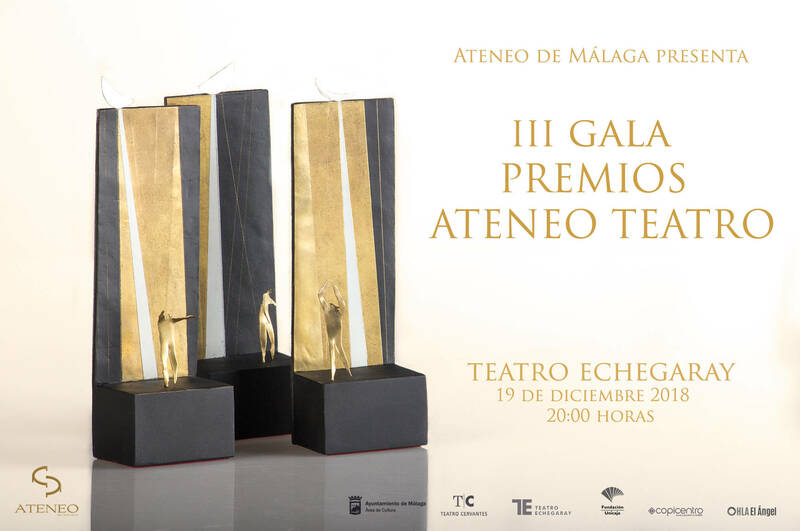 The awards ceremony will take place on December 19 at 8:00 pm at the Echegaray Theater, and will be conducted by the heads of the Vocal Theater of the Ateneo Málaga, Noelia Galdeno and Marina Giménez Devesa, and enlivened by the performances of the jazz band formed by Carlos Fernández Campos, José A. Serrano and Luisongo Landa. The Prize of the III Edition of the Ateneo Teatro Awards will include: Best Theatrical Show, Best Original Work, Best Direction, Best Actor, Best Children's Theater Show, Best Actress, Best Musical Show, Best Dance Show and Special Mention to the Trajectory.